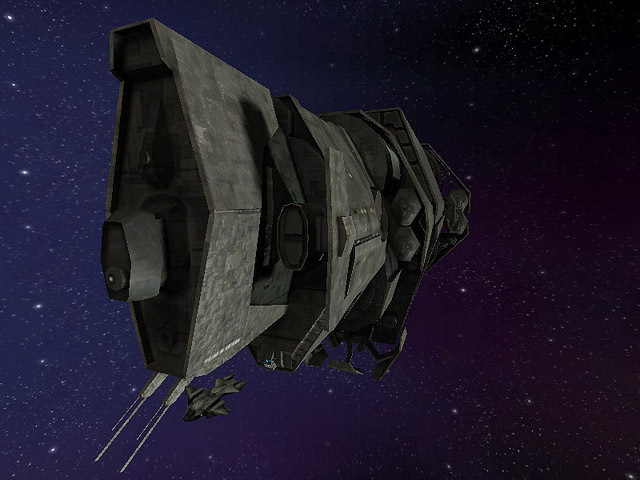 Although primarily a trusted workhorse for the Marines, several acquisitions from pirate raids by rebels have made a captured Pelican a favorite of independents in outlying colonies. 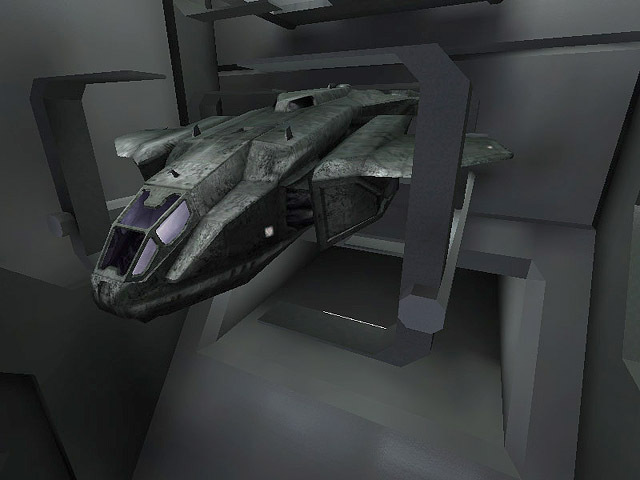 Pelicans are often stored in overhead compartments onboard large UNSC vessels. They can either deploy their landing gear, or remain suspended magnetically within their docking frames. The forward edge of the docking platform is designed to align with the aft payload and troop bay of the Pelican for boarding and disembarking of troops and equipment. The Pelican's cockpit can accommodate a seated pilot and co-pilot, as well as some standing room for other crew as needed, such as a mission commander. The pilot and co-pilot controls are exactly duplicated. In the event one pilot is incapacitated, the other can fly the Pelican solo from their own console. Under normal operations, a pilot is responsible for vehicle flight, and the co-pilot oversees vehicle/cargo deployment and retrieval, as well as handling firing control. 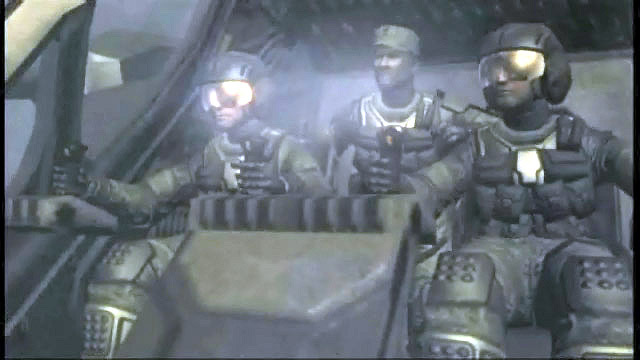 Two Marine pilots and Sgt. Maj. Johnson, over New Mombasa, E.A.P. 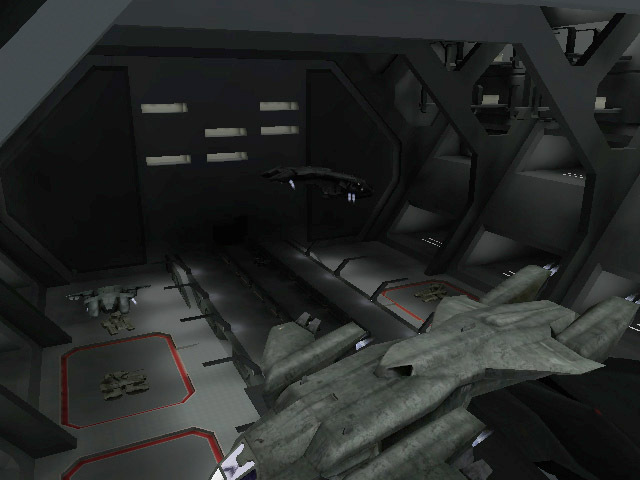 The compartment between the forward cabin and the troop bay contains a food rations facility, head, and some weapons storage. It also acts as an airlock between the troop area and the cockpit. Overhead, there's the Pelican's upper access hatch to the exterior. The troop bay has seating for ten Marines, can optimally hold twelve soldiers, but can carry even more if the need arises. There is storage under each of the seats, under removable panels in the decking, and weapons and tools can also be strapped to netting overhead. 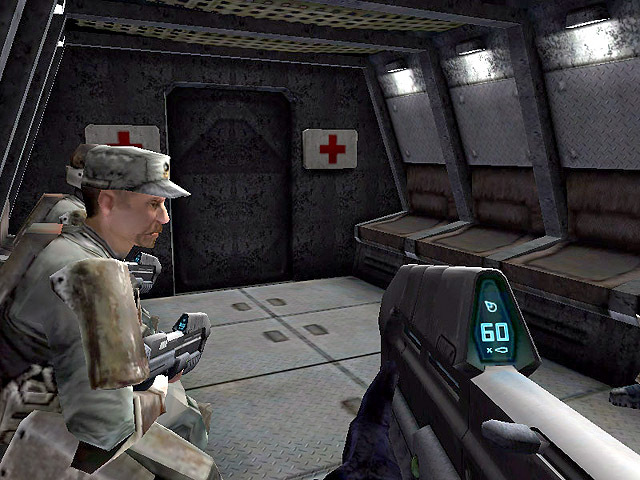 There are usually two wall-mounted medical kits on either side of the troop bay airlock to the cabin. The underside of the tail of the Pelican is useful for carrying vehicular support for the troops on board. 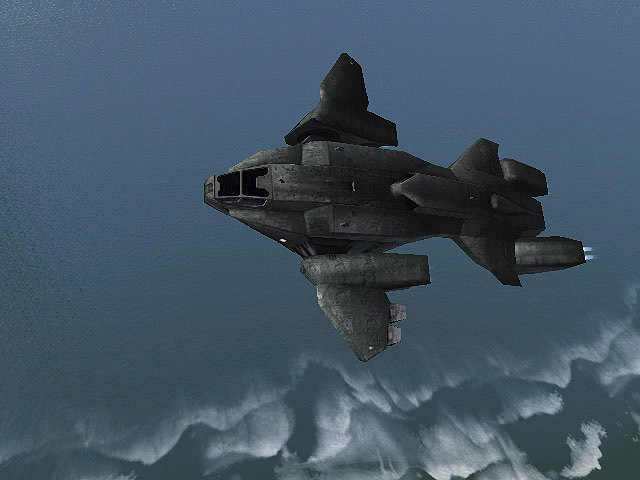 The dropship features electro-magnetic clamps allowing the Pelican to carry the UNSC Warthog LRV, the Scorpion Main Battle Tank, or other optional cargo. 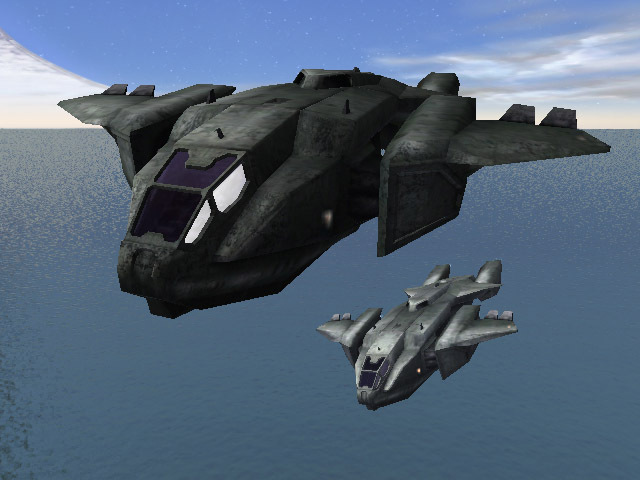 A troop carrier for increasing the number of soldiers the Pelican can carry is not a common addition, but can be added as a payload to the dropship's tail. The troop bay has an airlock seal with the standard troop compartment and windows afford a view for tactical reconnaissance. This addition can increase the number of troops the bay can accommodate nearly six-fold. UNSC weapons canisters can also be individually magnetically locked and deployed from the clamps when an area is not suitable or capable for the dropship to land in. The Pelican is equipped with EMP-resistant electronics both for tactical reasons as well as the ability to utilize magnetism to mount vehicle cargo. The Pelican has two main propulsion systems. Several thrust nozzles allow the craft to operate as a vertical take-off and landing vehicle. In a combat zone, it is desirable to keep the Pelican in flight and not become a stationary target any longer than necessary. 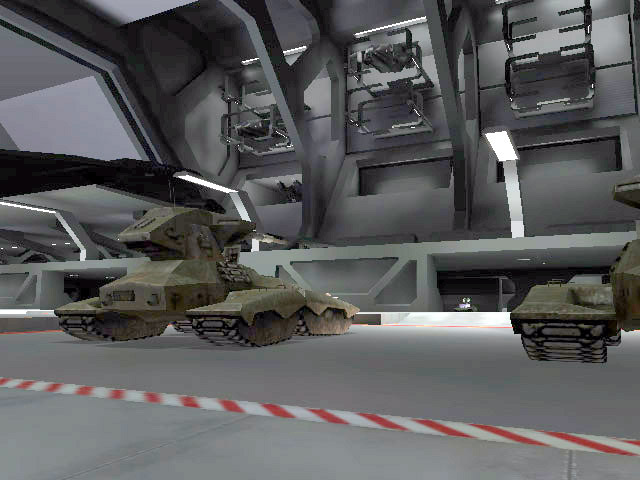 The ability to hover in place is therefore convenient for the safe offloading of troops and materiel. 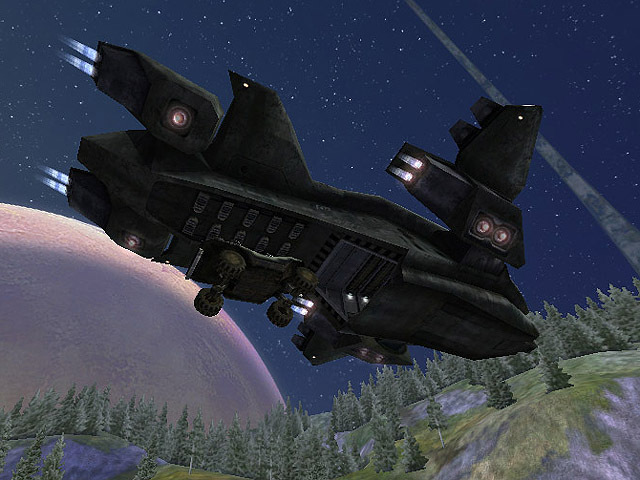 The dropship can go from a hover to a maximum intra-atmospheric flight velocity of 75km/h. The Pelican is also designed for atmospheric reentry of a planetary body, with armor sufficient to withstand the intense heat. The vehicle can also achieve orbit independently, although at a relatively slow rate of climb, but sufficient to achieve escape velocity of many planets. The Pelican is powered by a high-octane fuel in more than one tank. The flight dynamics of the Pelican is achieved through the use of four independently maneuverable thrusters; two forward wings and two aft thrusters. The tilt of each individual wing or thruster determines how the craft will climb and bank. In space flight, chemical thrust is used to fly the dropship. The compounds used are the same as in large capital ship maneuvering thrusters, namely trihydride tetrazine and hydrogen peroxide. Short bursts are all that is needed for precision maneuvering in all three dimensions in space. Weapons are optional attachments on Pelican troop carriers and can be exchanged in very little time for efficiency in combat situations. Weapons can include a chin-mounted 70mm machine gun (a 40mm machine gun was more common on early Pelicans but was outdated by the year 2525), a rocket pod mounted to the underside of each wing, often carrying 16 high-explosive Anvil II missiles per pod, and/or a troop bay ceiling-mounted M247 GPMG machine gun turret. Remarks: Launched from the UNSC cruiser Pillar of Autumn with 27 Spartans to combat the Covenant ground threat on Reach, August 2552. 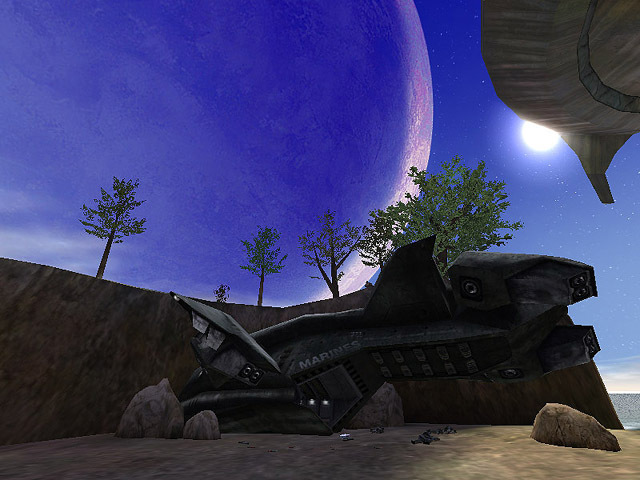 Remarks: Crashed on Silent Cartographer beach on Halo Installation 04 with a loadout of heavy weapons. 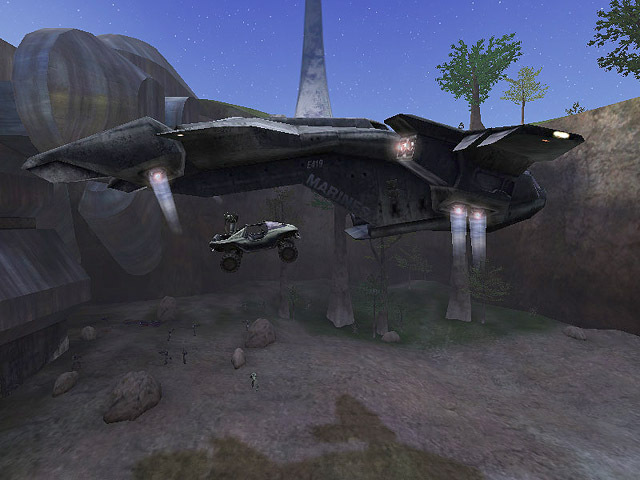 Remarks: Commandeered by Covenant Elites and forced to gain landing clearance at Marine Base Alpha on Halo Installation 04. Lt. Hale was coerced into aiding the Elites and was executed after landing access was granted. 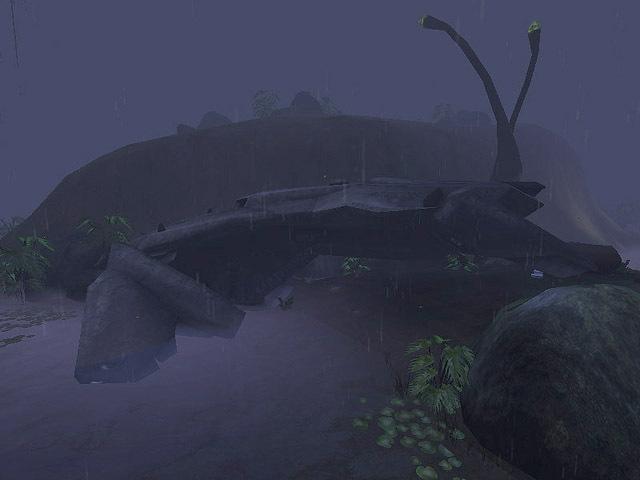 Remarks: Flown out from Marine base Alpha to the crashed Pillar of Autumn on supply gathering missions. Remarks: Along with Pelican Echo 136, Echo 206 flew missions from the Marine's Alpha Base to the crash site of the Pillar of Autumn to gather needed supplies. Remarks: Heavily used by UNSC forces during the events on Alpha Halo in late September, 2552. Destroyed by Covenant Banshee fire during Spartan 117's escape from the crashed Pillar of Autumn. 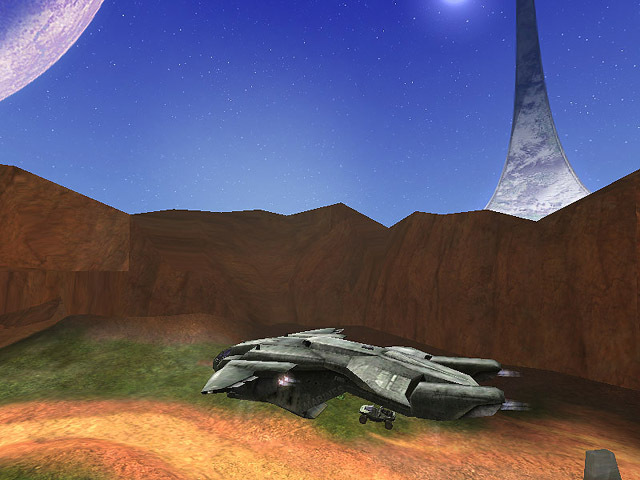 Remarks: Crashed in swamp near Alpha Halo's Flood Containment Complex during a mission to secure a weapons cache alluded to by captured Covenant. 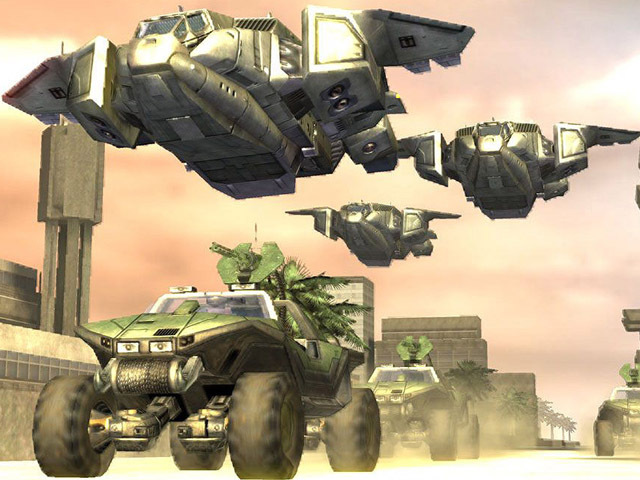 Information is primarily about the Halo 1 Pelican, as Halo 2 pictures are hard to come by for me at this point, hence no weapons shots. I'll update when I'm able. Pelican atmospheric speed is a calculation from The Flood: page 186. 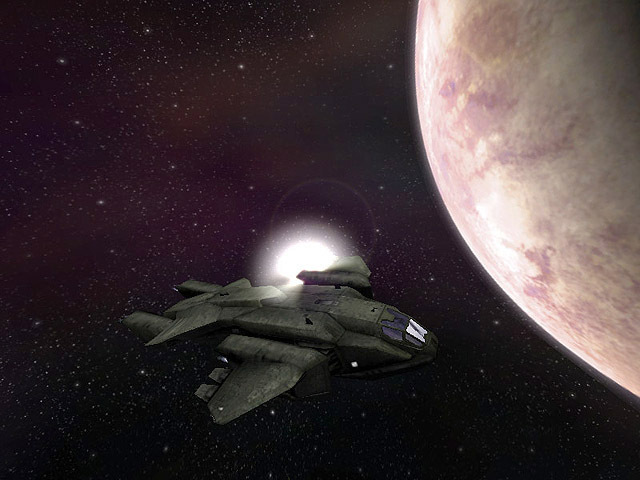 Troop Pod is conjectural, but was thought of to solve two issues with the novel The Fall of Reach...the Pelican had to carry 75 young Spartans and they could look out windows. I later discovered that early Pelican sketches by Bungie had what looked like a troop pod on their development sketches of a dropship.